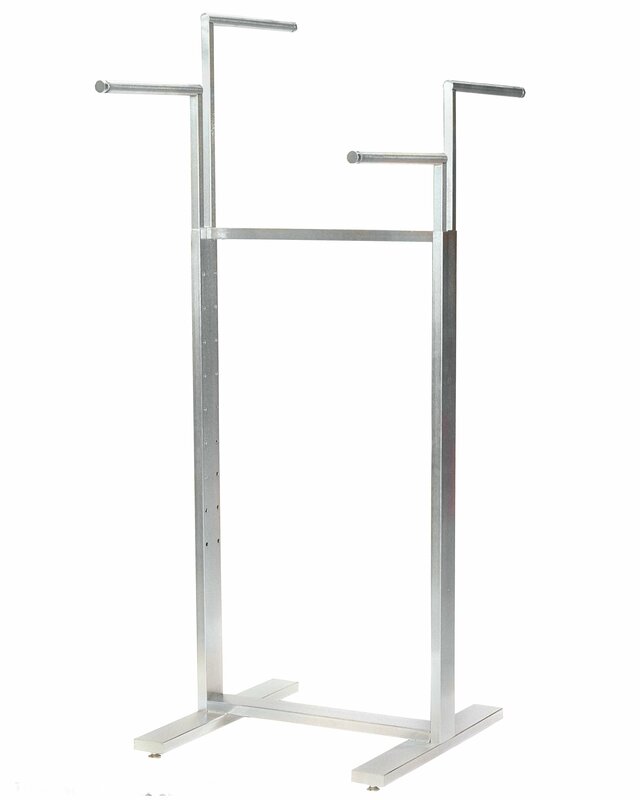 Satin Chrome 4-Way Rack with Adjustable Arms, 16" Rd Tube Arms; 24" x 24" base. Upright is 1"x3", rack adjusts 47" to 75" in height. The Bauhaus Series is a contemporary collection of store fixtures that evoke a sense of clean, sleek lines softened with round tubing arms. It is recommended that they be used in a group to delineate a specialty shop environment within a retail store.